In an unexpected turn of events, deadmau5 came onstage during DVBBS’ set at Montreal, Canada music festival ÎleSoniq this past weekend. The progressive house mastermind’s appearance was brief, however, as he only fired a confetti cannon into the audience and did little else. While every other blogger on the Internet seems more concerned with deadmau5′ operation of the cannon than anything else, what I would like to know is how an artist as outspoken as deadmau5 wound up onstage alongside an outfit like DVBBS. The Canadian duo put out the homogenized sort of big room house that gives mainstream EDM a bad name – and if the word on the street holds any truth, they don’t even produce it themselves. 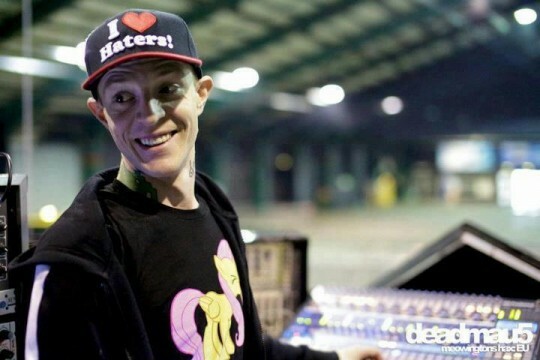 If recent incidents are any indicator, though, deadmau5 will thoroughly explain himself on Twitter soon enough. And we can’t wait to hear what he has to say.